It isn’t often that I find myself struggling with a decision. 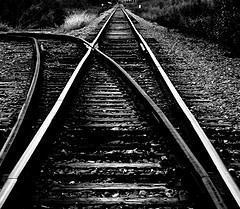 I tend to know what I want, and to pursue the option best fitting with my goals, whether they be short term or long, planned or spontaneous, wise or questionable *according to others* – but, for the past few days I’ve found myself at a dead stop, pondering the diverged paths ahead of me, and at a complete loss of which direction to pursue. As a writer, being approached with a paying project is the constant waking dream, one that I was blessed to receive this past week. Discussions were had, coffee was drank, notes were taken, and an introduction was written. The end product would be the first book in a series of 3 or 4, written for the tween crowd, ideally approx. 200/250 pages in length, and centered around characters locked safely inside the minds of my cohorts. After much talk, prayer, pro/con’ing, and contemplation; an agreement was reached, a price named, and the contracts were all but drawn up. Then, the decision was made, by said cohorts, that they desire for this project to be completed with myself as a ghostwriter. Now I realize that ghostwriting is a career that many authors choose to take, and that it can be a fulfilling position, paying fairly substantially. But, I struggle with the idea of pouring my own storytelling skills, passion, and creativity into conceiving & birthing a being that I’ll then be handing over to someone else to be responsible for, as well as my not being able to celebrate that beings successes, my own pride at it’s creation, and of course, no reaping of rewards or publicity if things were to hit it big. *sigh* On the other hand, I do realize that as a writer who is essentially just starting out, I need to be grateful for the opportunities I’m presented, and see them as wonderful learning experiences, and situations that can only assist me in growing as an author!